The power grid is facing ever-mounting challenges as the demand for residential and commercial electricity increases. North Carolina State University is committed to modernizing the electric grid and creating energy leaders. NCSU’s FREEDM System Center was involved in a recent project developing a Medium Voltage Solid-State Transformer (SST). Their goal was to increase energy density, simplify system design, reduce costs, and improve efficiency system reliability. 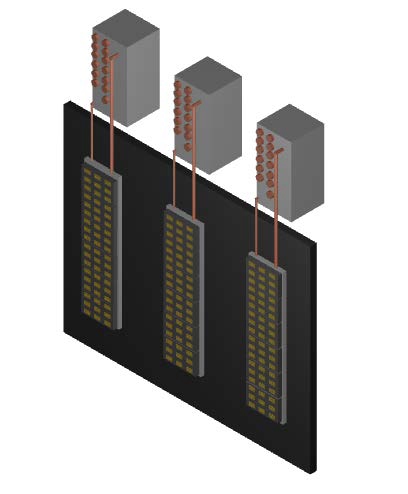 Of course, these drive use and dissipate kW levels of heat so finding a thermal solution that achieved their program objectives was a challenge. 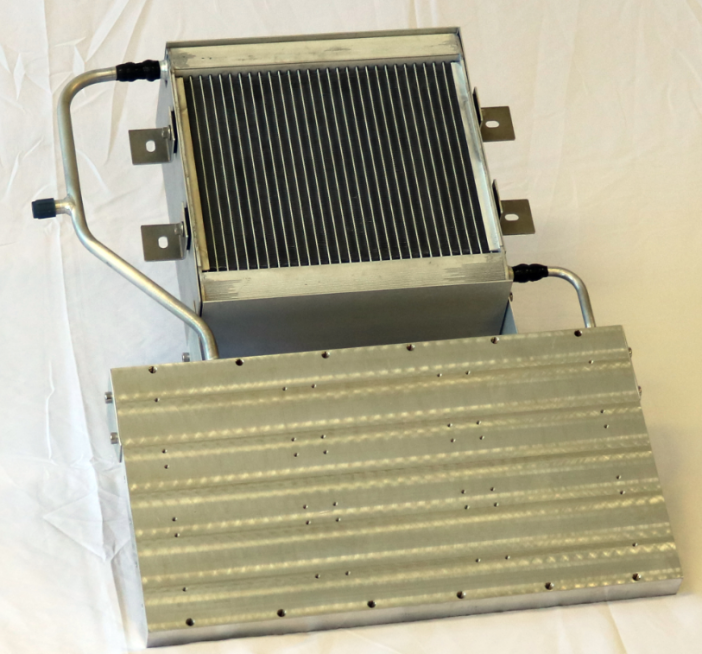 A major thermal puzzle was how to effectively and efficiently dissipate 2-10Kw of heat from up to 6 power modules on a single heat sink assembly. The proposed layout is seen in Figure 1. For the thermal experts at ACT, there was an obvious solution: ACT’s Loop Thermosyphon. This rugged, reliable and essentially passive solution was specifically designed for these Power Electronics applications. Working with the NCSU team, ACT designed and developed the Loop Thermosyphon seen below in Figure 2. The device was capable of dissipating 2 kW of heat and achieved a maximum device junction temperature of 85°C with a coolant temperature of 60°C. Got a difficult thermal challenge? Give us a call. ACT’s thermal experts design solutions to thermal challenges on projects in diverse markets and has particular expertise with emerging technology for the power grid. ACT is proud to help to create a more reliable technology for the future. Contact ACT for your power electronics and power grid applications today.